“Smells like burnt matches” – how much reductions is a good thing on Chardonnay? Some general observations. The two Burgundies were firm favourites in their respective flights with both the panel (consisting of UK commentator Jamie Goode and local counterpart Michael Fridjhon) and the floor. Was this because they were intrinsically very good and incidentally from Burgundy or alternatively because they were so palpably Burgundy and therefore tasters felt compelled to like them? Elgin acquitted itself remarkably well and clearly viticulture and winemaking is improving dramatically year on year. I would go so far as to say that the Elgin wines taken collectively pretty much matched the rest of the world bar the Burgundies. What set the Burgundies apart, I found myself wondering? For one thing, they’ve been at it for much longer and for another, they have a greater array of vineyard to work with. However, it struck me what ultimately separated them (and what generally sets great wine from the merely good) was a sense of effortlessness in their fundamental being. To illustrate this point, the matter of reduction (typically referred to as “burnt matchstick” or “flinty” in terms of aroma). Goode spoke of reduction as being a frame for the primary fruit on a wine or even a foil for that fruit. Fridjhon, meanwhile, talked about “strategic interventions” on the part of the winemaker – the degree of reduction on a wine depending on such actions as whether the wine was fermented in tank or barrel, how much stirring of the lees occurred and how often the wine is racked. How much of these interventions were appropriate before the fruit became obscured or overwhelmed, was the question posed by Fridjhon. And so while there were elements of reduction on the two Burgundies, the wines were just so complex and balanced in every other respect that they were inevitably the highlights of the tasting. The Dog Point 2014, on the other hand, was controversial showing pronounced reduction to go with seering acidity – it had Goode, who was clearly familiar with the style, in raptures with him praising its “minerality” but while it was clearly a wine of some singularity, I ultimately felt it would be quite hard to drink. 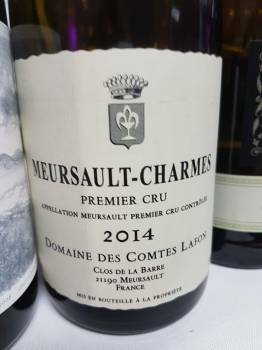 When it came to the Elgin wines, meanwhile, it felt a little like the winemakers regarded reduction as a signifier of (good) Burgundy and were trying to mimic this at all costs. “Minimal intervention” has become a marketing cliché but perhaps a more intuitive, less deliberate approach to winemaking is what will take Elgin to the next level. We keep on having the same old conversation again and again in Nes Zealand. Some people can’t stand any funk and some love it. Get over it.